DESTINATION IN THE U.S. VIRGIN ISLANDS. RELAX IN THE LUSH, BEAUTIFUL AMBIANCE OF CROWN BAY MARINA. 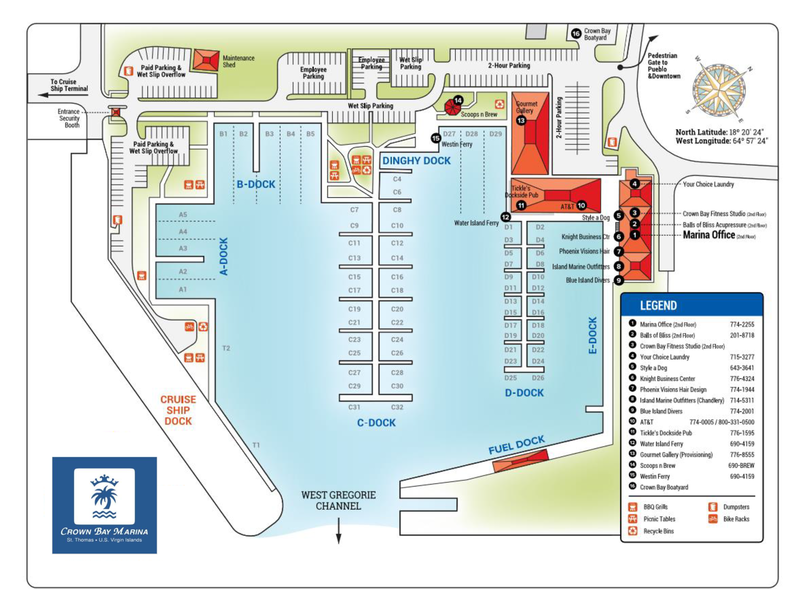 Crown Bay Marina is a full-service US Virgin Islands marina for mega yachts and pleasure craft up to 200 feet in length. Our St. Thomas marina has been consistently recognized as the leader in customer service by captains and owners chartering and cruising in the U.S., Spanish and British Virgin Islands. Our close proximity to the international airport, competitive fuel prices, on-site chandlery and other support services create an unmatched amenity package for a uniquely Caribbean marina experience. We invite you to explore our website to learn more About Us and contact us with any questions about your visit to the Virgin Islands. On-site ship’s chandlery, pub/restaurant, ice cream & coffee shop, laundry service, Acupressure , spa, , mail services, pet groomer, AT&T store & transportation service. For attractive Seasonal Rates, contact the Crown Bay Marina Office for more information.